A look into the arguments against the proposed affordable housing development in the Bywater. Does acceptance via legalization forgive past transgressions? What happens to the people who have records for possessing cannabis? The Bayou Bridge Pipeline, L’eau Est La Vie, and the struggle for Louisiana’s future. Kristin Rowe-Finkbeiner calls on white women to engage in difficult conversations with one another and to become change agents to dismantle racism in America. 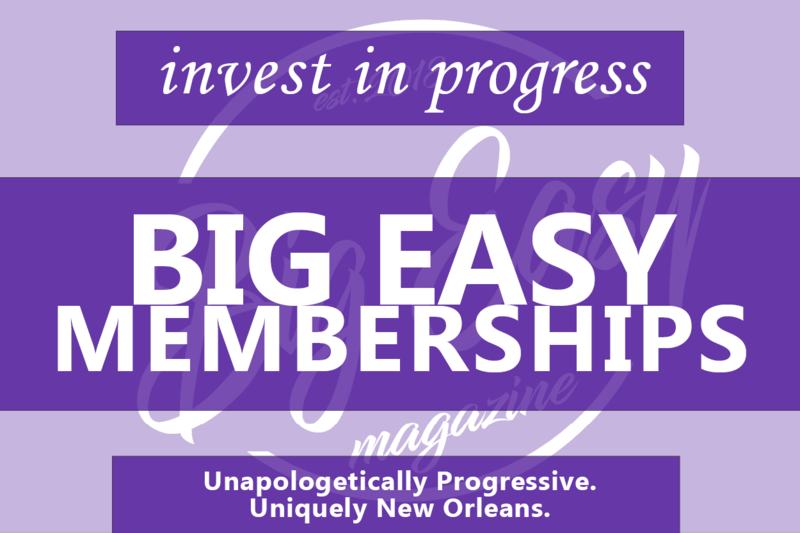 Ranging from marijuana legalization to ableism to tragedy, Big Easy Magazine continues to cover eclectic topics and diverse voices, all of which can have a positive impact on this city and her residents. In a coordinated effort between the New Orleans Police Department, Orleans Parish Sherrif’s Office, the SPCA, and city sanitation workers, the homeless are being removed from the French Quarter. The title poem from Nolan Storey’s latest collection, Damning Love.